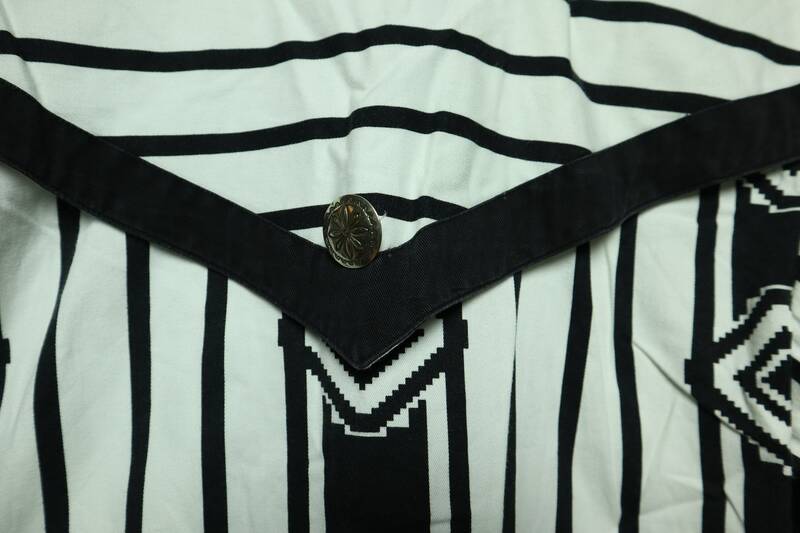 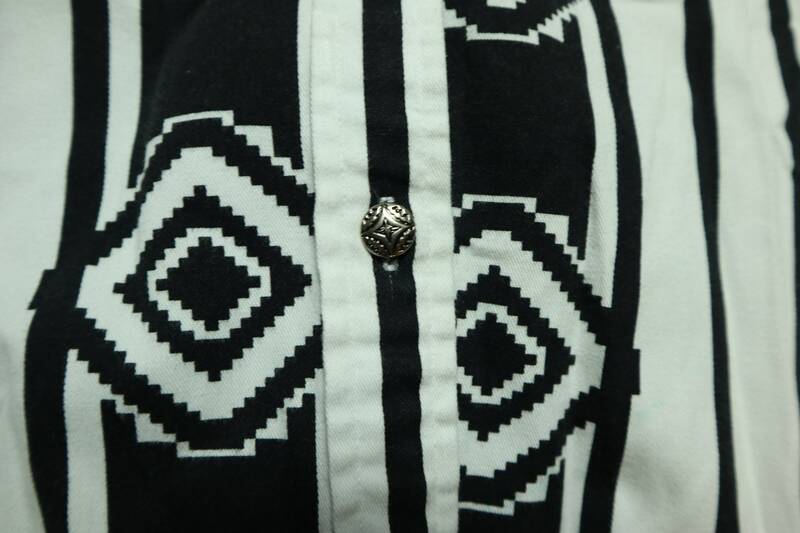 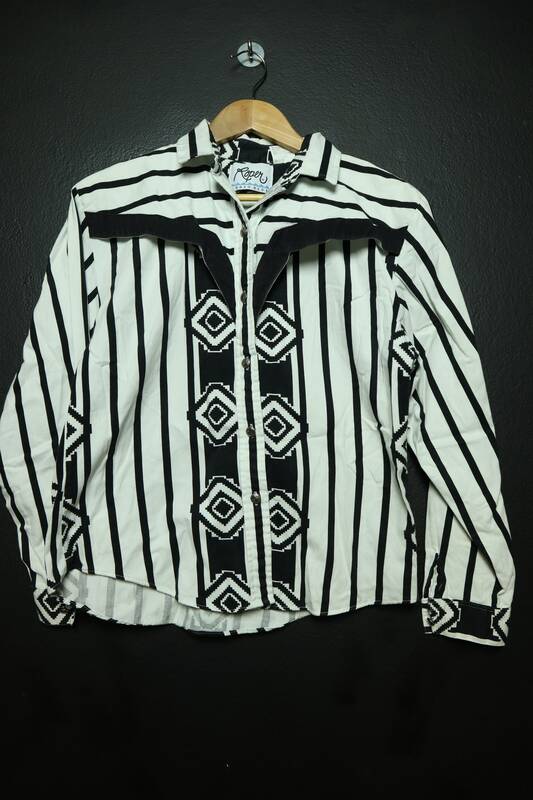 Western style black & white vintage shirt with metal buttons. 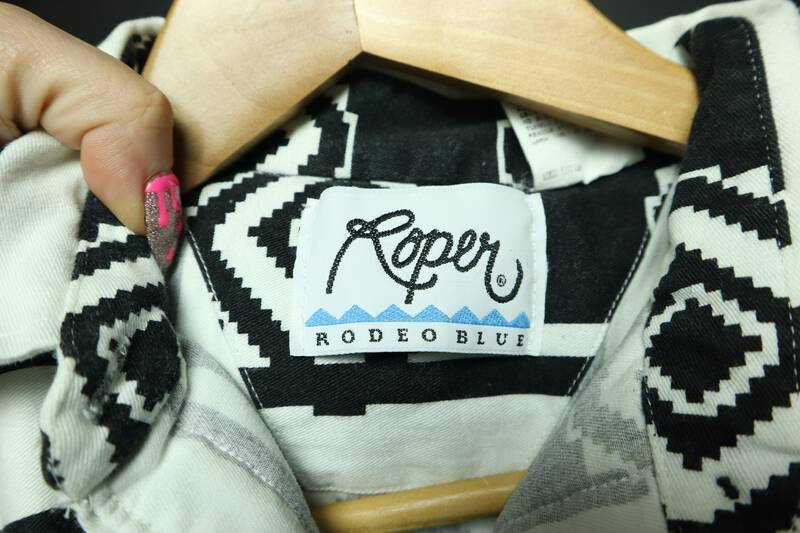 Roper, Rodeo Blue brand. 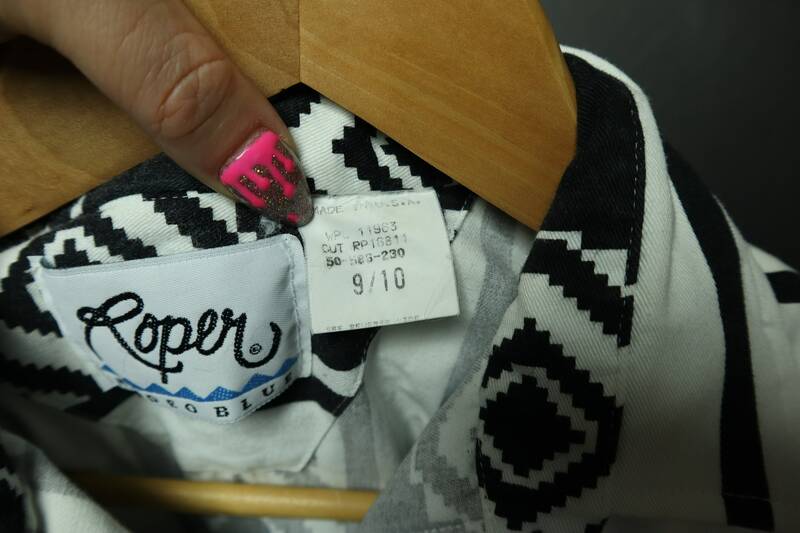 Tag reads 9/10, see measurements. 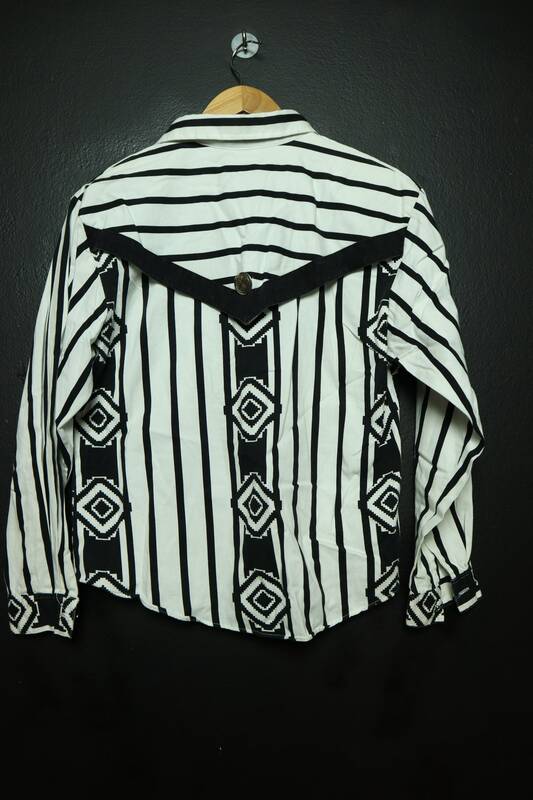 Pit to cuff (sleeve length): 18"